If you have a problem with your roof or you would like to know more about refreshing it, remember we are here to help! We would be happy to survey the roof in question and give advice, we will also take photos (where possible) to show you exactly what problems there may be with your current roof and explain what needs to be done to rectify it. If you are looking at renewing your roof then we can discuss our recommendations and alternative suggestions can be tailored to your specific requirements. Want to see a selection of jobs we've recently done? 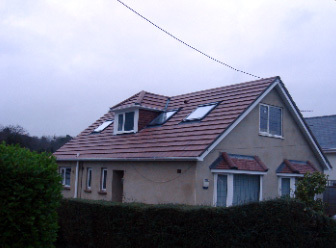 We specialise in providing the best service and high standards for all your roofing needs. Par Roofing has built an exceptional reputation in Poole, Bournemouth, Wimborne and other areas throughout Dorset and Hampshire.